Welcome to Mr. Long's Phys Ed. We look forward to a year of active and engaged learning where every student will have the opportunity to grow not only physically but socially and emotionally as well. Emphasis is placed on improving physical fitness, acquiring skills to aid and promote lifelong movement, and the development of interpersonal skills as they relate to teamwork, respect, fairness, responsibility, caring and overall citizenship. 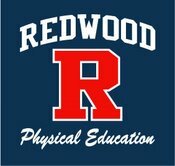 Copyright © 2008 Redwood Physical Education.